Download "Advice. Support. Savings. Rewards." 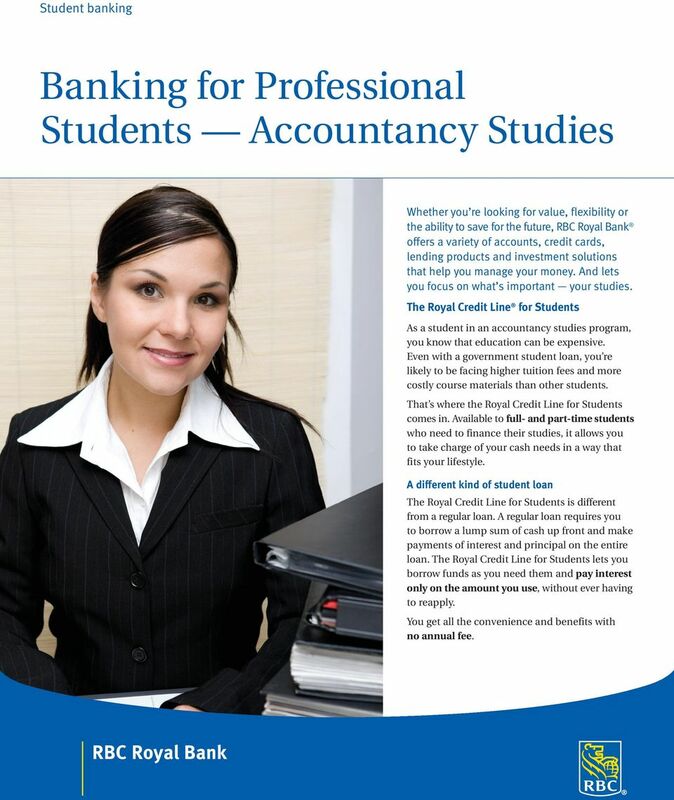 2 Student banking Banking for Professional Students Accountancy Studies Whether you re looking for value, flexibility or the ability to save for the future, RBC Royal Bank offers a variety of accounts, credit cards, lending products and investment solutions that help you manage your money. And lets you focus on what s important your studies. 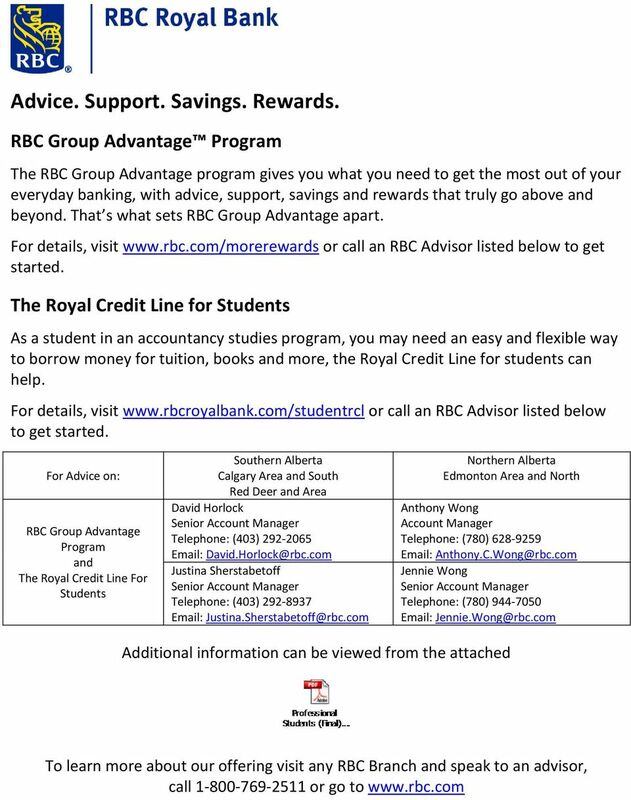 The Royal Credit Line for Students As a student in an accountancy studies program, you know that education can be expensive. Even with a government student loan, you re likely to be facing higher tuition fees and more costly course materials than other students. That s where the Royal Credit Line for Students comes in. Available to full- and part-time students who need to finance their studies, it allows you to take charge of your cash needs in a way that fits your lifestyle. 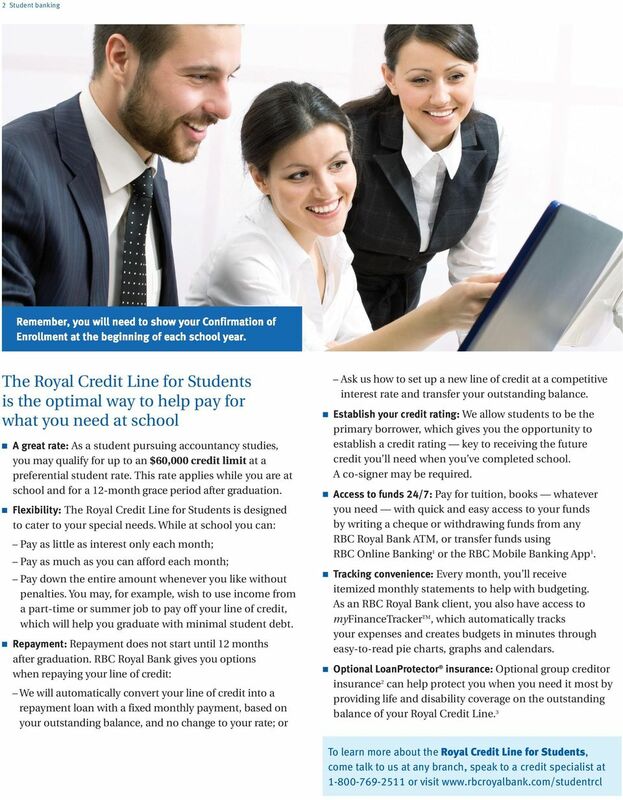 A different kind of student loan The Royal Credit Line for Students is different from a regular loan. A regular loan requires you to borrow a lump sum of cash up front and make payments of interest and principal on the entire loan. The Royal Credit Line for Students lets you borrow funds as you need them and pay interest only on the amount you use, without ever having to reapply. You get all the convenience and benefits with no annual fee. Feel secure, no matter where you are. 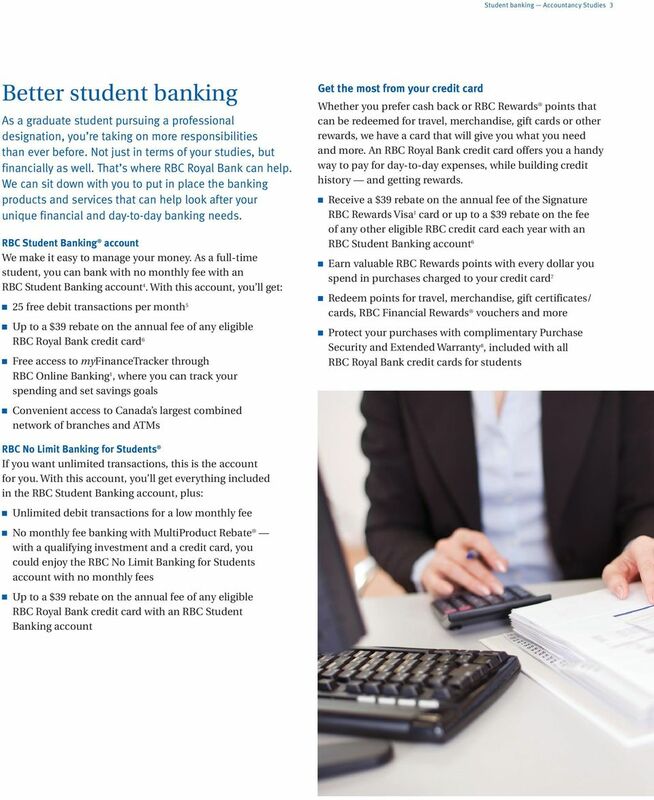 new The bmo Student Survival Guide. The card that makes perfect business sense. + Credit Cards & Personal Loans + Lending a hand when you need it. 0.00% Introductory APR for the first 15 months. BENEFITS GUIDE. 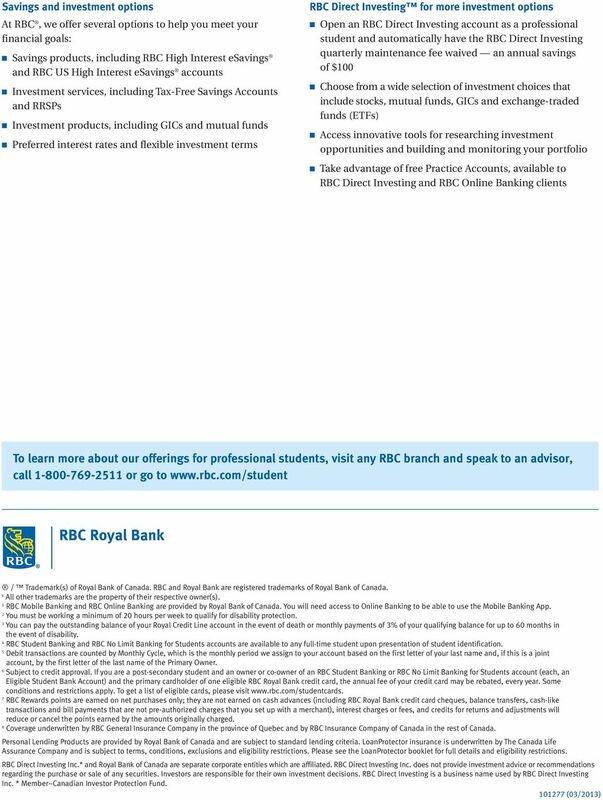 RBC Shoppers Optimum MasterCard. Earn Shoppers Optimum Points Everywhere. Transactions & Savings Because managing your money should be easy. Transactions & Savings Because managing your money should be easy. Your guide to how People s Choice Credit Union can help you with your everyday banking needs and achieve your saving and investment goals.